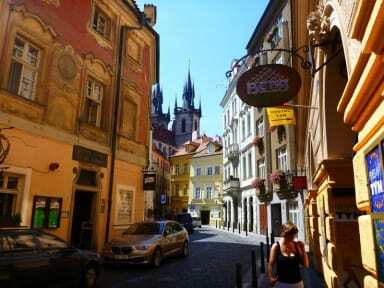 In the heart of Prague Old Town, it is quiet and comfortable place to stay. Feel safe to stay. Nice staff 24 hours. They offer sandwitces fir breakfast for free. 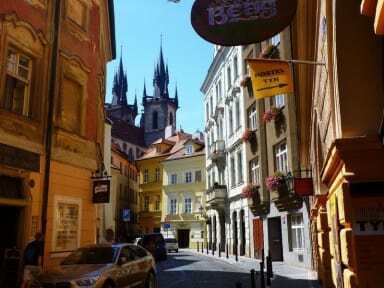 I enjoyed jazz and blues every night while in Prague. Several cosy venues are in walking distance. The location is great (1 minute walk from the Old Town Square/ 10-15 mins from the Railway station). The reception is open 24/7, and breakfast is included. There is only one toilet and shower room on each flat, so shared by at least 15 people. But it's definitely worth the money, which is very reasonable!